Writes and performs satirical and amusing songs about social issues and life in a Surrey commuter town. ​I am a guitarist and songwriter based in Farnham, Surrey and a proud member of Blue Trouser Records. With a background in classical guitar which I was taught at school, I started playing more seriously again and writing my own material about ten years ago. My first compositions were instrumentals and mainly in DADGAD and other alternative tunings. These songs were influenced by the likes of John Renbourn and Gordon Giltrap, and were first performed at local folk clubs and sing arounds in Hampshire where I used to live. Nine songs, all instrumentals, were recorded on the first album, Starry Nights and Blue Sky Days in 2009. I then ventured more into the world of singer song writing, releasing a second album, Stargazing, in 2011 which included a mix of self penned instrumentals, songs and covers. My musical direction has since taken a somewhat different path, and I now focus on writing songs which reflect the more serious social issues of our time as well as a light hearted observations about modern life and living in a Surrey commuter town. My third album, Where have All The Pubs Gone, was followed by Songs From The Home Counties and Howling in the Home Counties, all recorded at the Simon Painter Production studios in Farnham. My EP First World Problems was recorded in December 2017; my most recent album - The Refuse Collection - is a selection of my more popular songs. 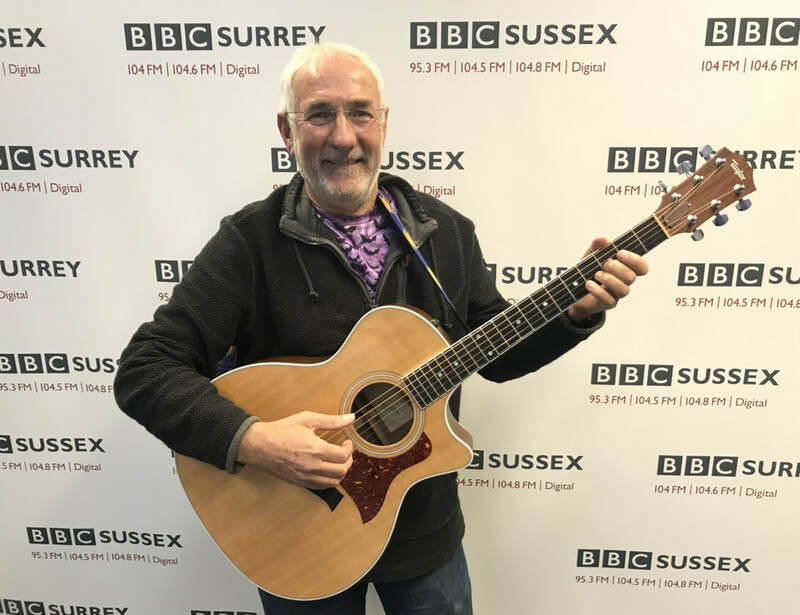 I have been featured on BBC Radio Surrey and Sussex, BFBS, Wey Valley Radio and Surrey Hills Radio. I now mostly play my amusing and satirical songs to local audiences. Some have described me as Surrey's answer to Jake Thackray. 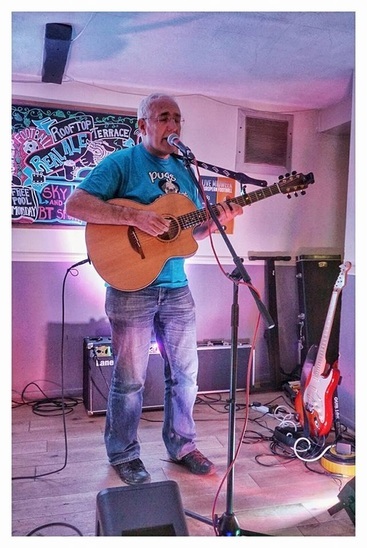 I play at open mics, festivals and smaller venues in Surrey and North Hampshire.